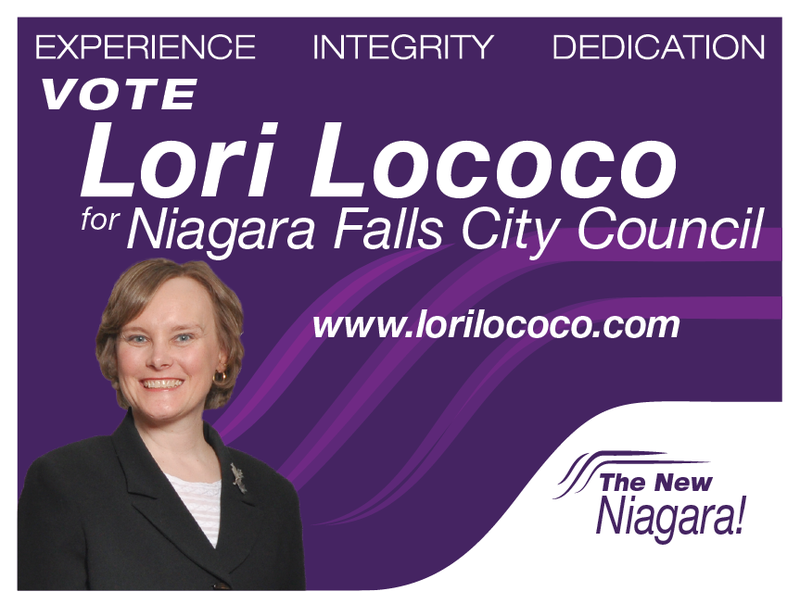 As a Niagara Falls City Councillor, Lori Lococo’s ability and experience will be invaluable. Lori is widely recognized in Niagara and worldwide for her intelligence, dedication and integrity. Her leadership on the world stage as a Board Director for Toastmasters International has expanded her role as an ambassador for Niagara everywhere she goes. Toastmasters International is a nonprofit educational organization that teaches public speaking and leadership skills with more than 313,000 members in over 14,650 clubs in 126 countries. As of August 2014, Lori was one of 14 elected Directors and is charged with setting the strategic direction for the organization, policy development and budget and financial oversight. Her involvement with tackling the basic needs of the residents of Niagara Falls who are living below the poverty line, has been manifest in her position as a Director on the Board of Project SHARE. Lori also served as a board member for The Niagara Falls Community Outreach – The Soup Kitchen for 3 years. Lori has worked for over 30 years in Niagara’s legal community, as a Court Reporter and 14 years as the Administrator of a large firm along with her experience working with Census Canada. Her responsibilities included daily operations as well as long range planning with multiple committees, budget and financial oversight including legal and government reporting. In addition, she oversaw research, development and implementation of policies and procedures. A life long resident, she is passionate about serving the city she loves. Lori is excited to connect with her community to make our vision of a New Niagara a reality. Lori looks forward to earning your vote on October 22nd!